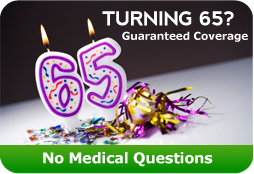 Cascadia Insurance | Turning 65, or just starting Medicare? Turning 65, or just starting Medicare? You likely feel confused and overwhelmed by the complexities. You are not alone... Most of our clients felt the same way before speaking with us. They found that our ability to simplify Medicare was crucial in helping them making an informed decision. Simply contact us and say "hello" to simplicity. people with End-Stage Renal Disease (permanent kidney failure requiring dialysis or a transplant, sometimes called ESRD). 2nd) What are the "parts" of Medicare? Part A covers approved inpatient hospital stays, eligible care in a skilled nursing facility, hospice care, and some home health care. In most circumstances, people who are eligible for Medicare generally begin Part A on the month they turn 65, or on the 25th month after qualifying for Social Security Disability. Part B covers certain doctors' services, outpatient care, medical supplies, and preventive services. In most circumstances, Part B will begin automatically along with Part A if the eligible person is receiving Social Security. Otherwise they must actively enroll. Part D adds prescription drug coverage to Original Medicare, some Medicare Cost Plans, some Medicare Private-Fee-for-Service Plans, and Medicare Medical Savings Account Plans. Unlike Parts A & B, Part D plans do not come from Medicare, but rather are offered by private insurance companies and other private companies approved by Medicare. Medicare Advantage Plans may also offer prescription drug coverage that follows the same rules as other Part D Prescription Drug Plans. 3rd) Is that all I need? Medicare supplements are also typically identified by a letter, A-N, but these should not be confused with Part A or Part B. Supplements work along side your Original Medicare to pay for some or all of the costs left behind by Original Medicare A & B - deductibles, coinsurances and copays. A supplement may also provide coverage for specific non-Medicare covered items such as Part B excess charges and/or foreign travel emergency coverage. New to Medicare and not sure what kind of coverage you need?